TROUBLED family is one way to celebrate a milestone anniversary. The play, about the disruptive effects of a son's return from the Vietnam, transferred from The Public Theater to Broadway where it won the 1972 Tony Award. (See video below). “Sticks and Bones” is directed by Scott Elliott and stars Richard Chamberlain, Holly Hunter, Bill Pullman, Nadia Gan, Morocco Omari, Raviv Ullman and Ben Schnetzer. “Sticks and Bones” runs through 14 Dec.
Ben Cameron, Lynn Nottage, Phylicia Rashad, Teresa Eyring, Joshua Dachs and Paul Oakley Stovall. Photo by Jonathan Zeigler/Patrick McMullan Company. Jessica Hecht. You have been doing something right. Eric Bogosian. Along the way, some good has come from you. Phylicia Rashad. Indeed, you have done something to make the world a better place – at least the theater part of it. 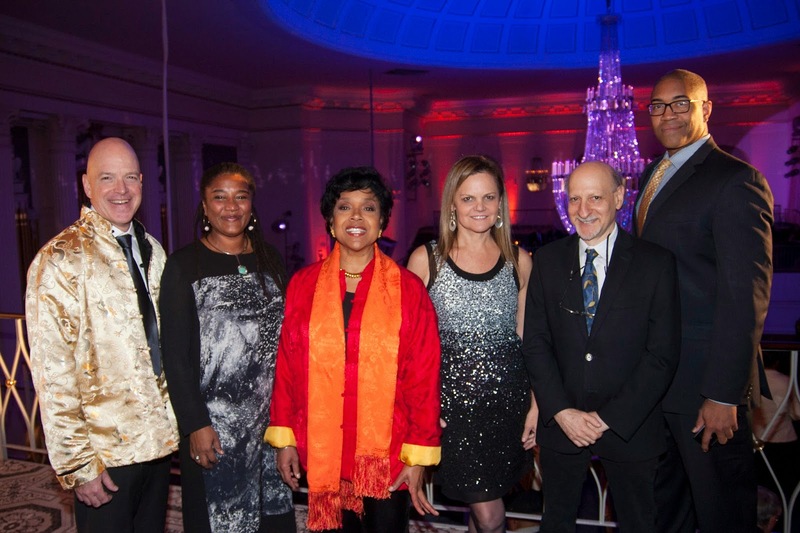 Consequently, it is no surprise that these are just a few of the folk who presented themselves recently for the annual gala of Theatre Communications Group (TCG) in New York City. For 50-plus years, the organization has worked tirelessly to ensure that not-for-profit theater in this country is alive, well and thriving. All of the aforesaid will undoubtedly admit to having benefited in some way from TCG's efforts. All have given back in some way. too. The same can be said of those TCG chose to honor this year: lighting designer and producer Jules Fisher; the Doris Duke Charitable Foundation, and Pulitzer prize-winning playwright Lynn Nottage. The latter was emphatic in her praise of TCG in the development of her brilliant career. (See video above). “We’re thrilled to celebrate three honorees that have made such an indelible impact on the theater field,” said TCG executive director Teresa Eyring. 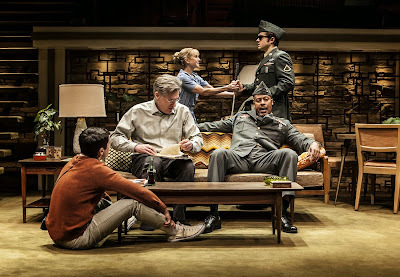 It had its world premiere in a limited run at the Goodman Theatre in Chicago (See video at left). Visit http://www.tcg.org/ to learn more about Theatre Communications Group.